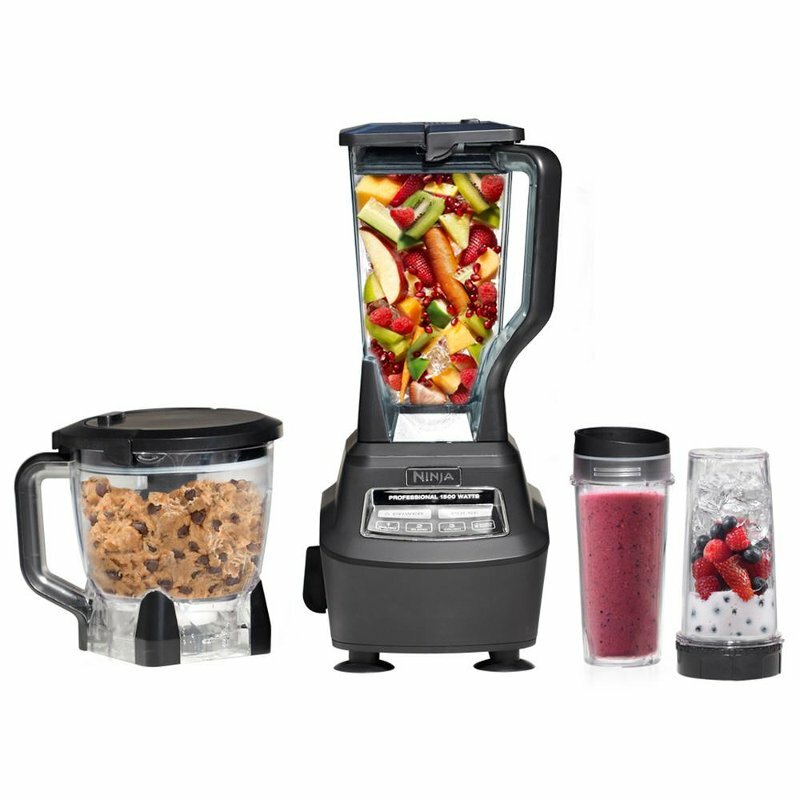 The dynamic VELOCITY Ultra Trio Blender/Food Processor with Travel Cups lets you do it all! 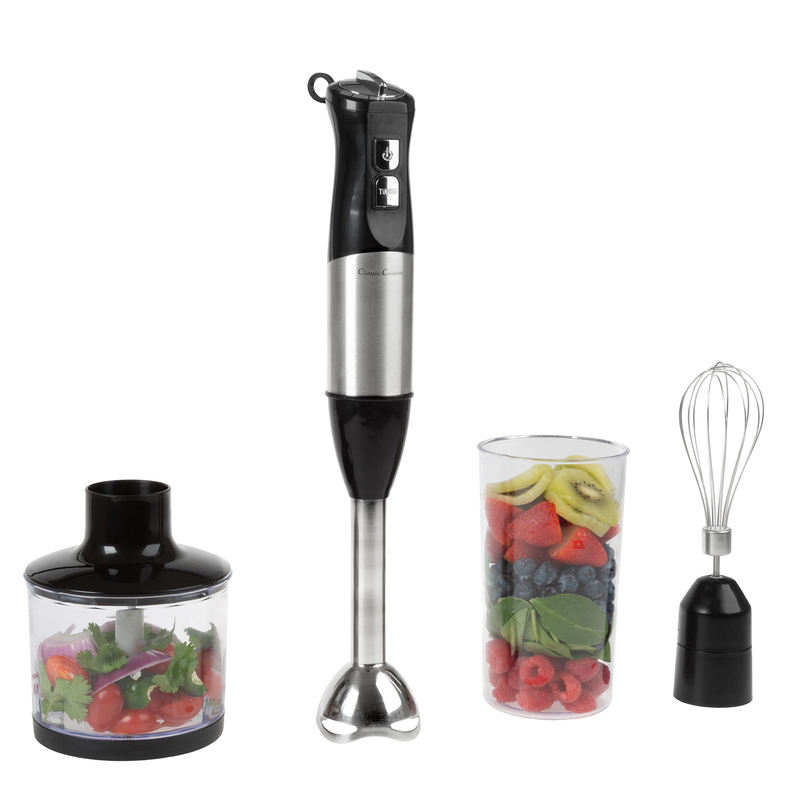 The blender’s smart power and sophisticated electronics minces delicate herbs whips up smoothies and even chops ice to a fine powder. Blend your smoothies right in the two travel cups put on the lids and enjoy healthy breakfast on the go. Use the food processor work bowl to slice shred chop or mix a dip in no time at all. With its sturdy base this 3-in-1 workhorse can handle anything you toss at it or into it. 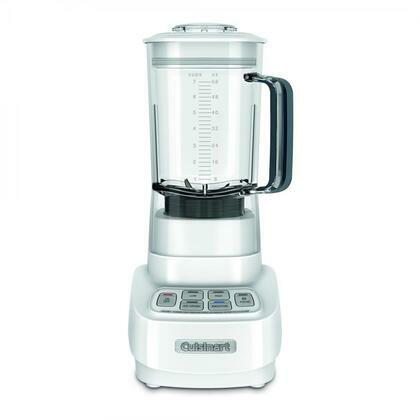 This sleek and powerful blender features Ice Crush and Smoothie controls Low and High blending speeds and a convenient Pulse function. Its generous 56-ounce durable BPA-free plastic jar features a tight-seal lid soft-touch handle and a 2-oz. measuring cap for precise measuring. 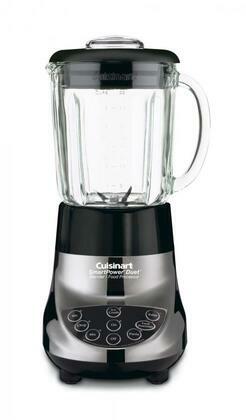 The blender’s electronic touchpad provides easy selection for all your blending needs.